This easy taco dip recipe is one of our family’s absolute favorite, go-to recipes. We have it almost every time friends come over, and I have to confess to making it occasionally for supper (don’t judge – it’s that good!). We love this dip – it’s easy an tasty taco dip with sour cream and cream cheese, and it seems a lot of people agree – it’s been re-pinned on Pinterest over 80,000 times! We love any dip recipes with cream cheese or sour cream! There’s always a lot of discussion in our house about how to serve this! Hubby loves this cold taco dip served with Tostidos or other plain nacho chips, while the kids and I are becoming big fans of serving it with Doritos instead. We like the Doritos nacho cheese flavor best, because the kids aren’t real fans of spicy dips. We’ve also tried making it with an extra layer of guacamole or refried beans on the bottom, and it’s absolutely delicious. Since so many canned refried beans taste like lardy liquid cardboard, I’d recommend homemade refried beans, if you have time. If you don’t, we like Ortega refried beans – they’re vegetarian and therefore made without lard. This dip is a fairly mild taco dip, so it’s great to serve for kids or anyone who doesn’t love a lot of spice. 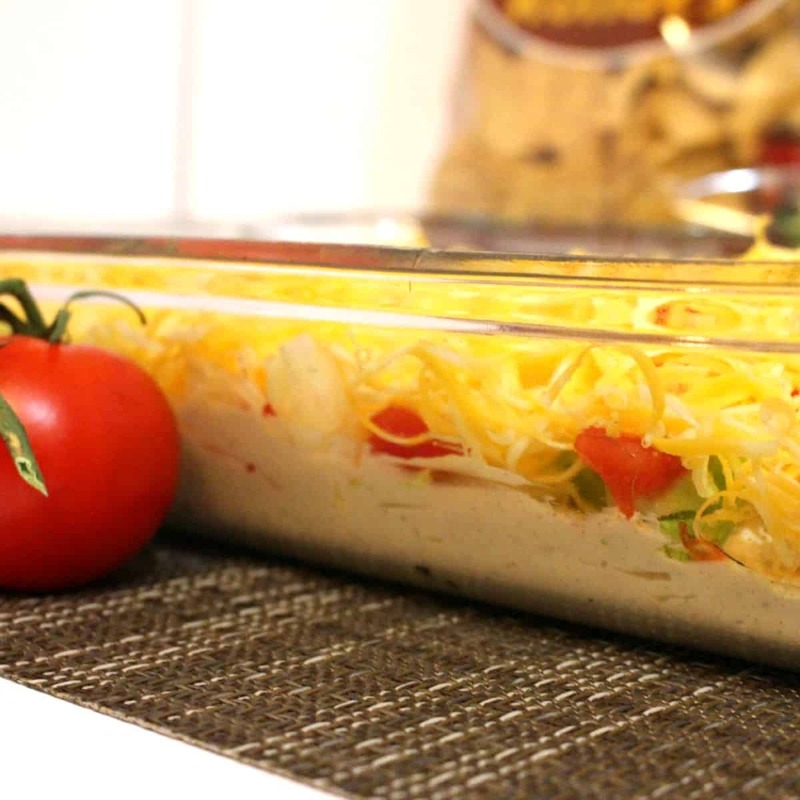 If you want to add a kick too it, just add jalapenos or hot banana peppers to the top! Here it is – our Six ingredient Oh So Easy Taco Dip. 2 tbsp taco seasoning. Use store bought, or check out our recipe for a make-your-own taco seasoning here. bag of tortilla or pita chips. We love Nacho Cheese Doritos; the spiciness of the Doritos chips is a nice match to the creaminess of the dip! This time, we used Tostitos multi-grain tortilla chips; which are a little bit healthier. Mix one 8 oz pkg cream cheese, one 8 oz pkg sour cream and 2 tbsp taco seasoning. This blends much more smoothly if the cream cheese is room temperature. 2. Spread in a 9″ x 13″ dish. 3. 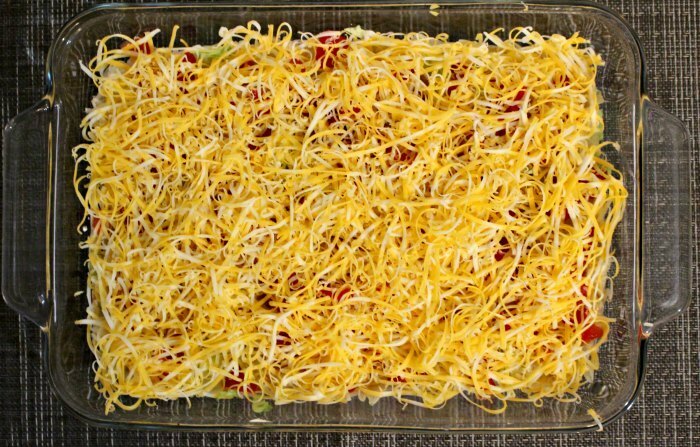 Top with shredded lettuce, chopped tomatoes and cover with shredded cheese. 4. Refrigerate until ready to be served. 5. Serve with tortilla chips or pita chips. 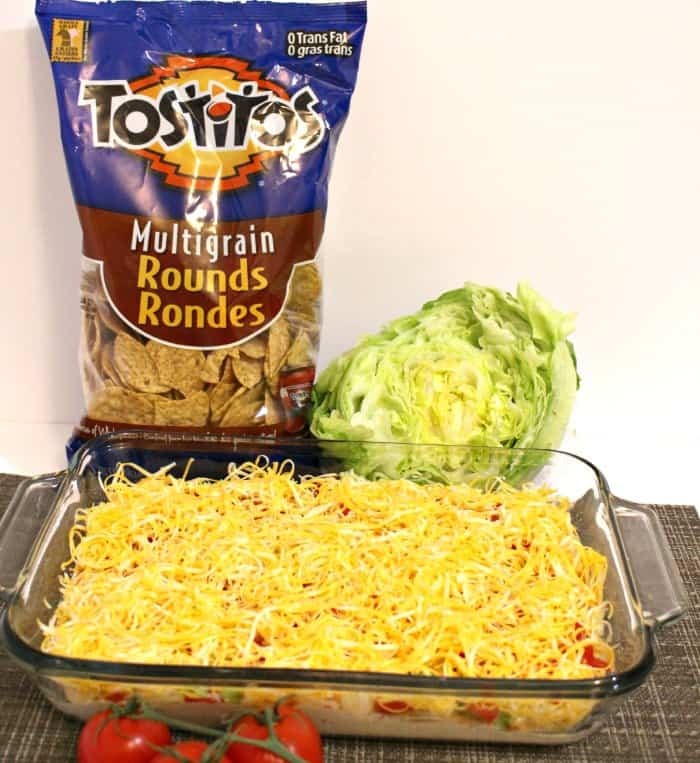 If you want, you can add different toppings to this Tostitos taco dip recipe, including black olives, green onions, green chilies, red onions, cilantro, or green peppers. We even love adding jalapenos or hot banana peppers on top for a real kick of spice! 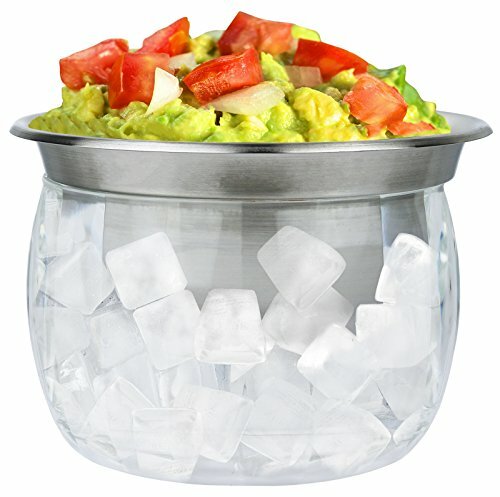 I was browsing around Amazon the other day, and I ran across this chiller bowl for dips. I think this is absolutely brilliant – just fill the bottom with ice, and it keeps dips cold for hours. Looking for some more great dip ideas? Love this cookbook. 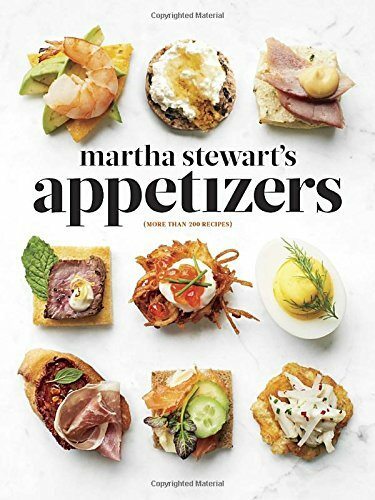 It’s classic Martha Stewart, and chock full of yummy dips, spreads and snacks. Take a peek inside on Amazon here. 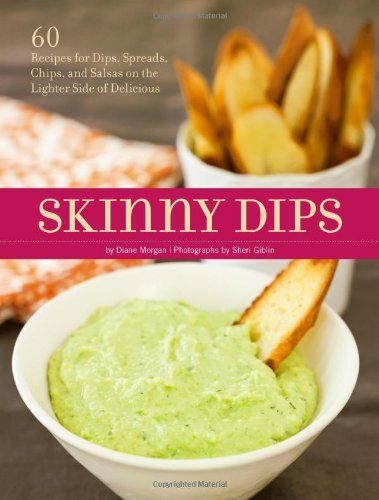 If you’re looking to save some calories, this one’s a winner: Skinny Dips . It’s packed with recipes that use ingredients that are probably already in your kitchen cupboard. Be sure to try the Parmesan Spinach Dip. Yum! Take a peek inside on Amazon here. 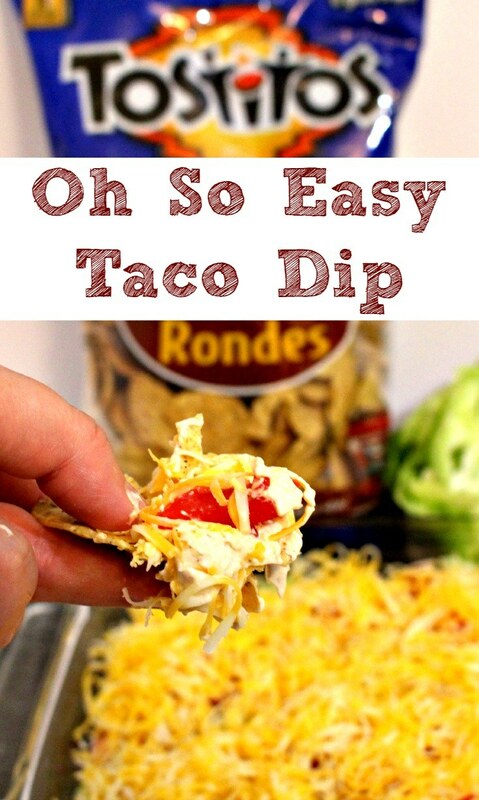 Did you try this easy taco dip recipe? What did you think?